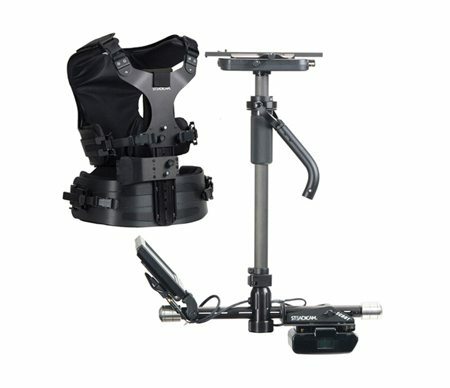 The Wooden Camera Shoulder Rig v2 Premium offers adjustable support for shoulder-mounted shooting and includes a pair of black leather rosette handles and rosette extension arms that position the grips at a more comfortable distance away from your body. 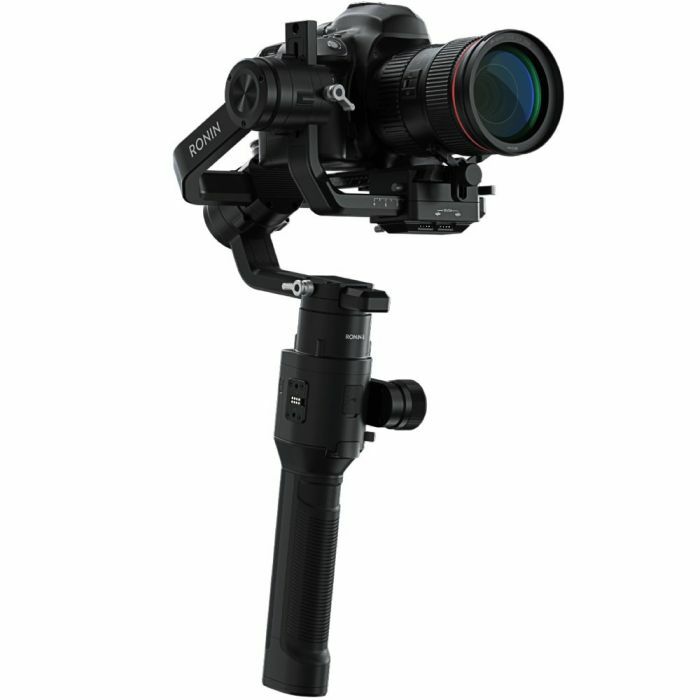 This Wooden Camera Shoulder Rig v2 is a camera stabilizer available for rent at Stray Angel Films. 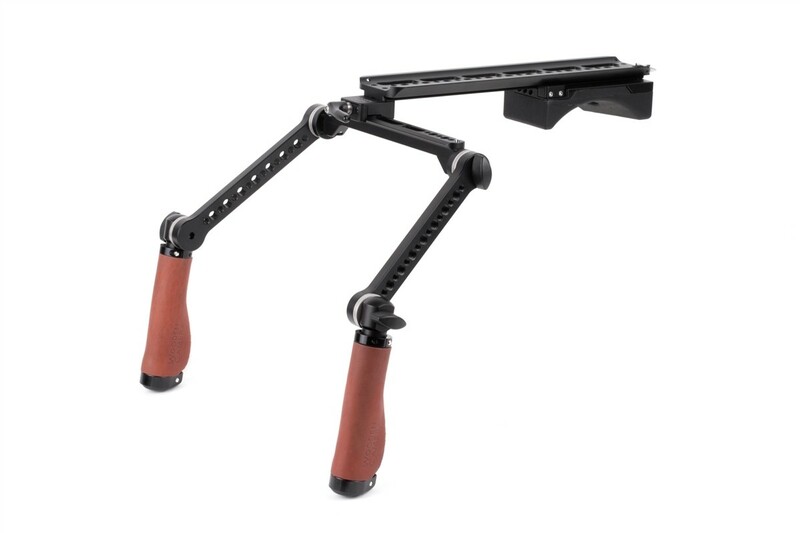 The Wooden Camera Shoulder Rig v2 Premium offers adjustable support for shoulder-mounted shooting and includes a pair of black leather rosette handles and rosette extension arms that position the grips at a more comfortable distance away from your body. The rig is based on an ARRI standard dovetail and a crossbar with ARRI rosettes for attaching the included handles or rosette arms. Compared to the Crossbar included with the original Shoulder Rig, the Crossbar v2 has a new design that allows it to be quickly adjusted left to right on a NATO standard rail by loosening a center thumbscrew. Another improvement sees an Arca-Swiss style dovetail added to the underside of the ARRI dovetail plate, allowing an included shoulder pad to be adjusted forwards and backwards. Threaded 1/4″-20 and 3/8″-16 holes on the components are provided for attaching accessories such as monitors, rod clamps, cheeseplates, and battery mounts. 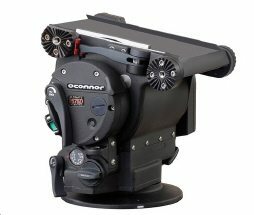 Additioanlly, the NATO-style Crossbar v2 provides a convent platform for attaching Wooden Camera’s NATO Lock Magic Arm or other NATO-style accessories. 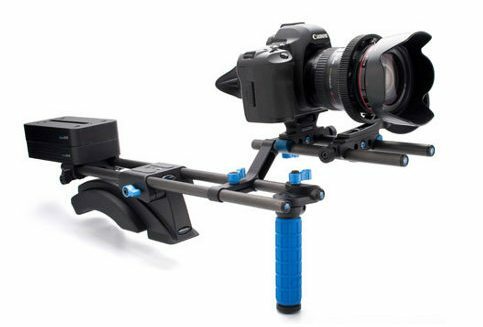 This Wooden Camera Shoulder Rig v2 rental is available for local pick up in Los Angeles or nationwide shipping.